Chris Stillwell is a doctoral candidate and educational consultant specializing in the teaching and learning of English as a second/foreign language. 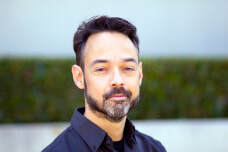 He has created teacher education programs for lecturers from Taiwan, Japan, and Brazil, and he is currently serving on the advisory committee of the online TESOL program of UCI’s Division of Continuing Education. He has a B.A. in Psychology and Theatre Arts from the University of Pennsylvania, an M.A. in TESOL (Teaching English to Speakers of Other Languages) from Teachers College Columbia University, and an M.A. in Education from UC Irvine. He has worked as an English as a Second/Foreign Language educator for over 20 years, and as a teacher educator for more than 10 years, including work at Teachers College as the instructor of the M.A. practicum in TESOL, as a mentor for Peace Corps Fellows working in public schools, and as a master teacher in the TESOL Department's Community English Program, as well as serving as assistant director of a university language program in Japan. Chris’ research interests include English as medium of instruction (EMI) in the US and abroad, English language learners in higher education, use of active learning techniques in large lecture courses, the impact of non-judgmental discourse on collaborative professional development, teacher observation, English language learners’ self-transcription of language learning tasks, and language teaching insights that can be drawn from distant fields. He has volunteered in Vientiane, Laos as a consultant and teacher educator, and he is listed on the U.S. Department of State’s directory of English Language Specialists. He has given numerous presentations and workshops at conferences throughout Asia and the U.S., including TESOL, AAAL (American Association for Applied Linguistics), and JALT (Japan Association for Language Teaching) conferences, as well as dozens of invited presentations at universities and professional meetings. His presentation topics include creativity, teacher observation, use of authentic material, techniques for asking questions effectively, and use of conflict resolution techniques in the classroom. Edited volume shortlisted for British Council/Cambridge ESOL International’s ELTon Award for Innovation in Teacher Resources, 2014. Chapters in two books (2011, 2015) shortlisted as well. UCI Graduate Research Symposium: Judge’s Prize, 2015; Audience Choice Award; 2016. UCI’s AGS/GPS-BIOMED Elevator Pitch Competition: First prize, 2015. Stillwell, C. (Ed.) (2015). Language teaching insights from other fields: Psychology, business, and brain science. Alexandria, VA: TESOL. Stillwell, C. (Ed.) (2013). Language teaching insights from other fields: Sports, arts, and design. Alexandria, VA: TESOL. ​Stillwell, C. (2017). “Supporting lecturers and learners in the use of English as medium of instruction.” In M. A. Snow and D. Brinton (Eds. ), The Content-Based Classroom: Perspectives on Integrating Language and Content (2nd ed.). University of Michigan Press: Ann Arbor, MI. Fenton-Smith, B., & Stillwell, C. (2017). “Professional development for EMI: Exploring Taiwanese lecturers’ needs.” In B. Fenton-Smith, P. Humphreys, and I. Walkinshaw (Eds. ), English as a Medium of Instruction in Higher Education in Asia-Pacific: Issues and Challenges. Springer: NY, NY. Stillwell, C. (2016). “Challenges to the implementation of youth PAR in a university-middle school partnership.” In i.e. : inquiry in education, 8(1), 2. Falout, J., Murphey, T., & Stillwell, C. (2012). Avoiding burnout by starting fires. In C. Coombe, L. England, & J. Schmidt (Eds. ), Reigniting, retooling and retiring in English language teaching. Ann Arbor, MI: University of Michigan Press. Stillwell, C. (2012). Does the devil laugh when team teachers make plans? In A. Honigsfeld & M. Dove (Eds. ), Co-teaching and other collaborative practices in the EFL/ESL classroom: Rationale, research, reflections, and recommendations. Charlotte, NC: Information Age Publishing. Fenton-Smith, B., & Stillwell, C. (2011). Reading discussion groups for teachers: Connecting theory to practice. ELT Journal, 65(3), 251-259. Stillwell, C., & Murphey, T. (2011). What administrators can do to promote collaborative professional development. In C. Coombe, L. Stephenson, & S. Abu-Rmaileh (Eds. ), Leadership and management in English language teaching. Dubai, UAE: TESOL Arabia. Stillwell, C. (2010). Don’t ask, don’t tell: Asking questions effectively in the language classroom. Language Magazine, 10(4), 20-23. Stillwell, C., Curabba, B., Alexander, K., Kidd, A., Kim, E., Stone, P., & Wyle, C. (2010). Students transcribing tasks: Noticing fluency, accuracy and complexity. ELT Journal, 64(4), 445-455. Stillwell, C. (2010). Danger learning: Experiencing ESL through conflict resolution techniques. In J. Nordmeyer & S Barduhn (Eds. ), Integrating language and content. Alexandria, VA: TESOL. Stillwell, C. (2010). We’re going to Englishland! Class trips abroad at home. The Language Teacher, 34(5). Stillwell, C. (2009). Role playing with fire: Hot topics and heated discussions. In A. Smith & G. Strong (Eds. ), Adult language learners: Context and innovation. Alexandria, VA: TESOL. Stillwell, C. (2009). The collaborative development of teacher training skills. ELT Journal, 63(4), 353-362. Stillwell, C., & Gillies, H. (2008). Language, cameras, reaction: Raising awareness of first and second language choices through documentary filmmaking. In T. Farrell (Ed. ), Classroom Management. Alexandria, VA: TESOL.